If the study of survival (whether it be primitive, urban or disaster) is your thing, then you’ve probably at least thought about a BOV. 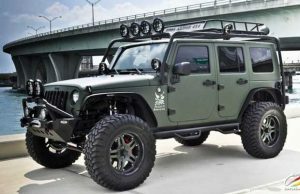 For guys especially, it’s fun to dream about these vehicles and how to outfit them with mods that up your buggin’ out chances. I’m asked quite frequently if I own a BOV and the answer is YES. I’d like to briefly cover what I consider the 5 Essential Elements of a BOV. If you know your BOV is in good working order you really shouldn’t need a whole trunk full of spare auto parts to get you to your destination. On a side note to this 1st Element – you should know how to work on your BOV. That may mean that you have to practice. My personal BOV is a 1972 Bronco. A big reason for this is that I can pretty much fix anything that goes wrong with the engine. Modern vehicles equipped with computers and 1000’s of parts can be very difficult to work on. This is definitely something to consider. Your BOV must be able to go off road. 4-wheel drive is a must. Most SUVs are probably sufficient enough to do the trick. If you are ever in a situation when you actually need to use your BOV, my guess is that it’s not a far stretch to imagine that you might have to take it off road. Having a wench (or 2) would be nice, but those can be pricey. You might be able to find a good used one on EBAY or CRAIGSLIST. At the very minimum, store a COME-A-LONG and 50 feet of chain. Nice solid tready tires are a good idea for snow & mud. Keeping a set of traction devices in your vehicle is a good idea too. What’s the point of having a BOV unless it has the fuel range to get you to your destination. Your BOV should have a full tank of gas at all times. More than likely, your Bug Out Trip is not going to be a straight and easy uninterupted path to your destination. You might have detours, traffic jams and possibly off road situations. It’s a good idea to know exactly how much fuel you will need to get you to your BOL. After you know that, you need 4X this much stocked on your BOV – either in an aftermarket large capacity fuel tank or seperate 5 gallon fuel cans. No fuel means no driving. You would be naive to think that pulling over for a fill-up is going to be an option. Clearly, you need cargo space to transport you and your loved ones. But you also need to calculate in enough space for Bug Out Bags and other essential items that should be in your BOV including shelter, food, weapons, water, maintenance tools and gas, etc… Roof racks and add-on cargo baskets are great solutions to storage problems. I’m not a big fan of towing a trailer with your BOV but if you have to you will need to make sure you have a heavy duty hitch that will take some off road beatings. Below is a picture of one of my previous BOVs. 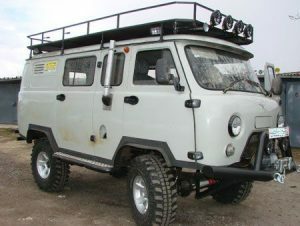 The custom roof cage provided plenty of overhead cargo storage space. When it comes to all of these BUG OUT topics – whether it be Bug Out Bag, Bug Out Vehicle, Bug Out Plan or Bug Out Location there is no definitive 100% right answer. Everyone’s kit will vary and should vary. Developing your own kit is a process that is constantly changing depending on your needs and wants. I would love to hear your thoughts about what I’ve shared here. I would also love to hear about your own BOVs. 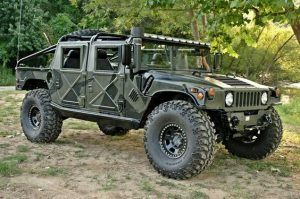 Be the first to comment on "Bug Out Vehicles – BOV’s 5 elements to think about"